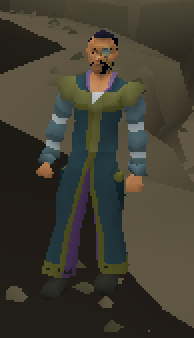 Advanced woodcutters can now train their woodcutting and fire making at the mystic woods! 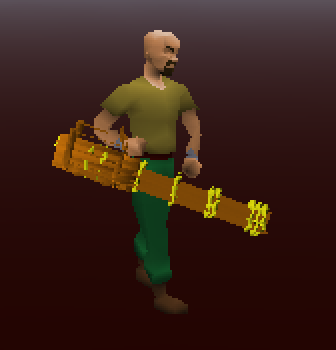 This brand new custom skilling content is available to those with level 110 woodcutting. 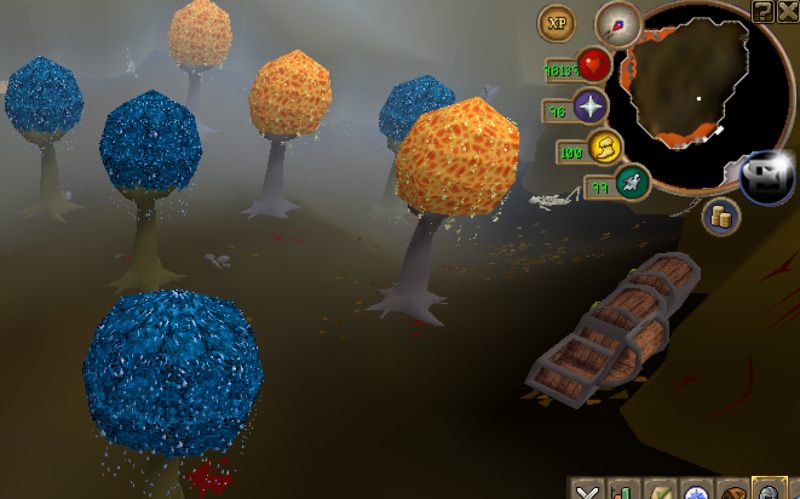 To access the new woodcutting area, simply teleport to ::wc and speak to the spirit tree. 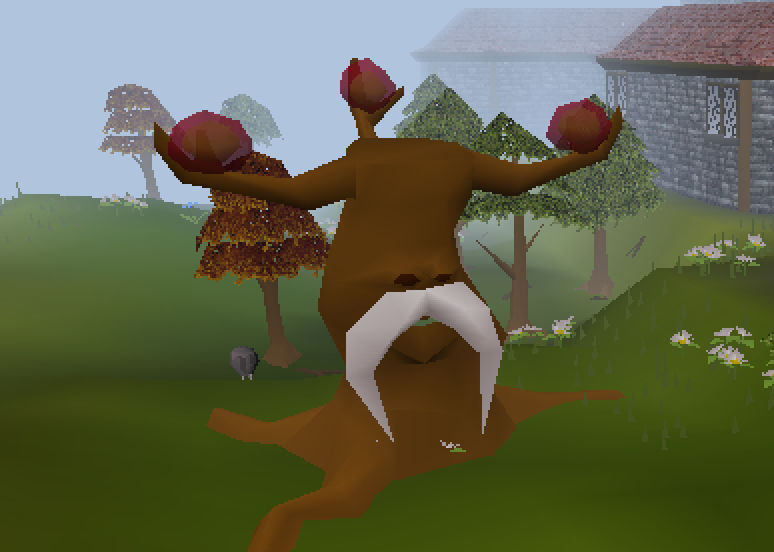 As well as boosted exp rates, players also have the chance to obtain Eagle's Nests while woodcutting at the mystic woods. 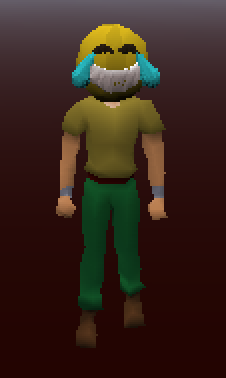 And the brand new Eagle Pet which gives you a 50% boosted chance of getting birds nests while cutting trees and a 25% boosted chance of getting eagles nests while chopping at the mystic woods! American Pernix is now Upgradable! 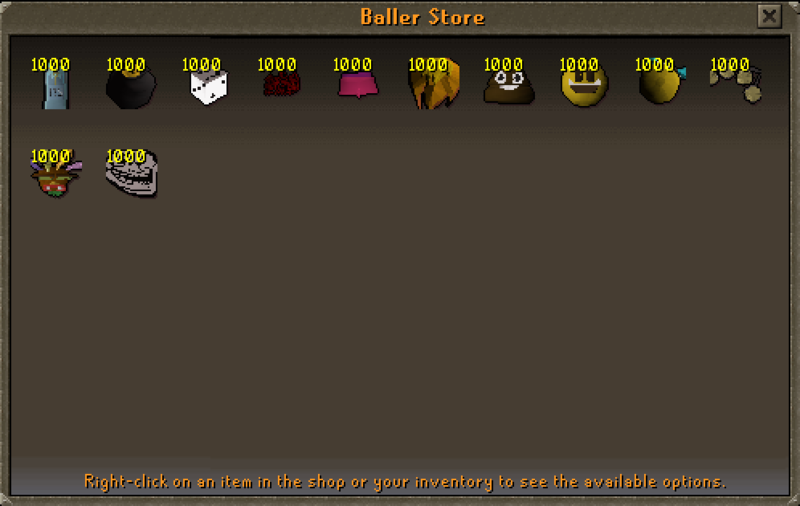 We have rotated a large number of inventory models to make them display better in the inventory. This involved changing the rotations of over 150 models and it's visual impact should greatly add to quality of life on the server. 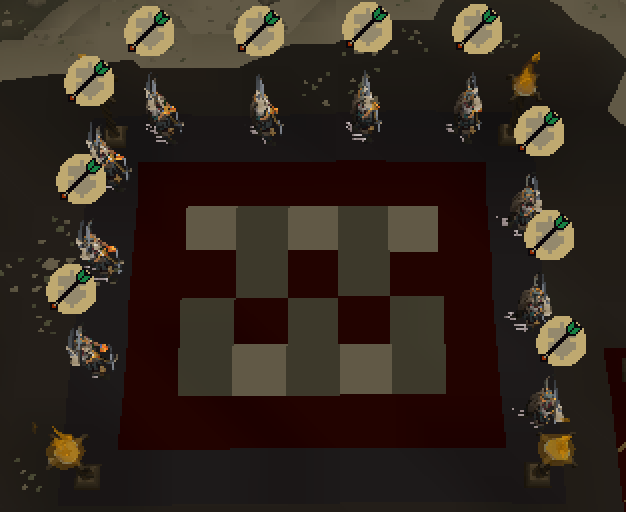 We went through and fixed all bugged acchievements as well as making some achievements auto redeem on iron man accounts (e.g. dice duel and POS achievements). 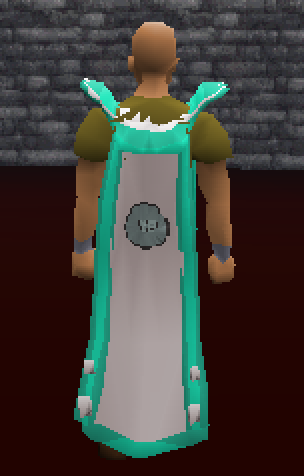 For those who have the grind to Complete all achievements, gained 120+ in all skills and completed 'A dreamers passion' quest, the comp cape can be purchased from 'milestone' at home. Simply right click operate the cape and pick the colours you want each detail to be. We have added particles to Dreamscape! 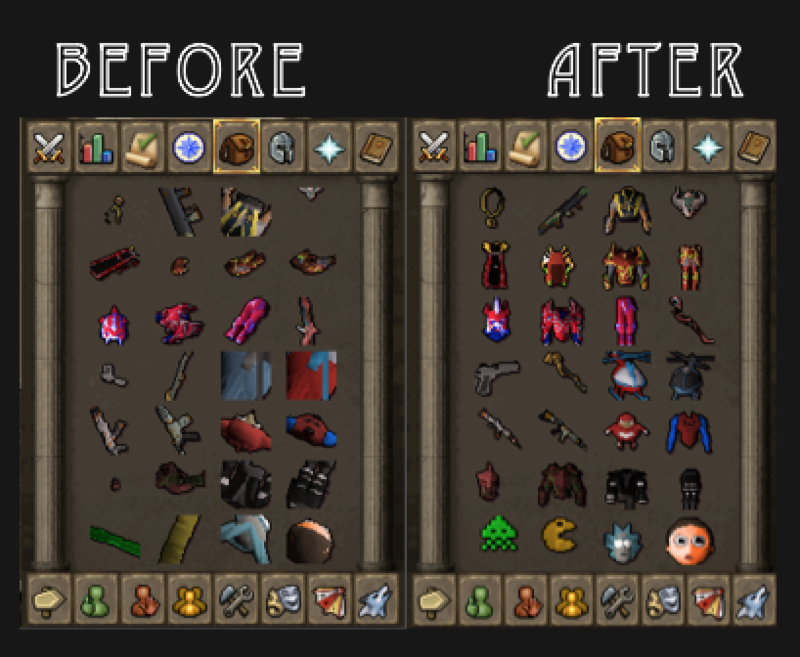 This will allow us to do a lot more with the customisation of items and add some flair to your custom items. 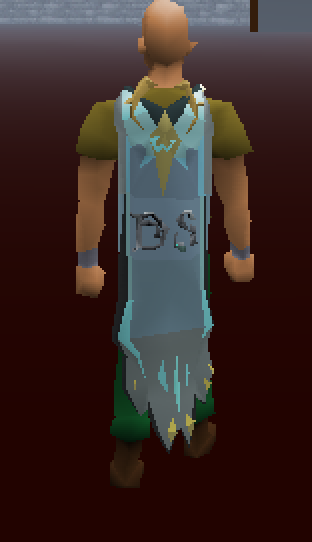 You can currently see particles on the comp cape, aura's and the executive cape! For the real ballers who wanna show off their stacks. We have made a shop just for you! featuring a bunch of juicy cosmetics and funky new items! We have had recently added a lot of end game bosses and beginner content so we decided to add something for mid tier players! Introducing Groudon! 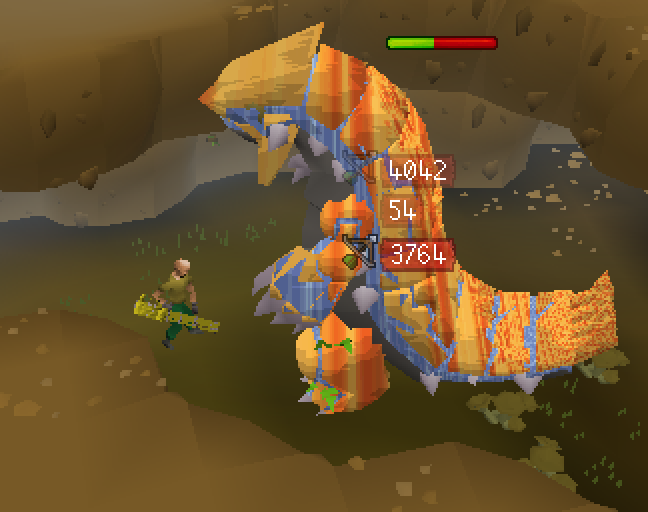 a fully textured boss with 100k hit points and some fierce attacks! Will you be lucky enough to get your hands on a new set of hybrid armour for medium level players?! 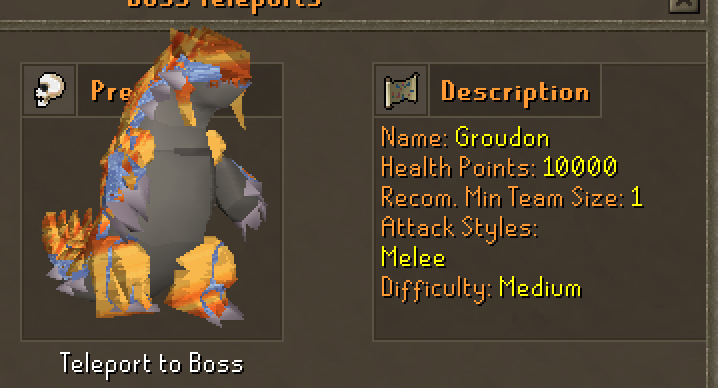 or even the groudon pet?! We've added new monsters to ::train! 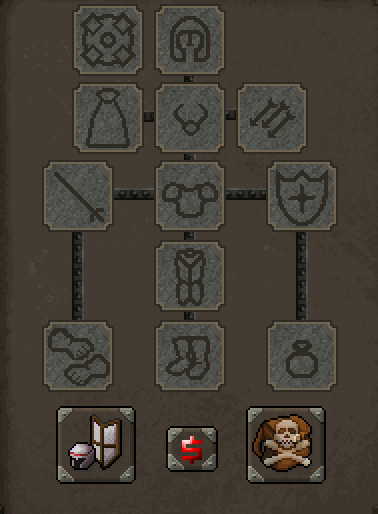 This update will be great for new players trying to level up their combat skills! You can now fight Sonic, Mario, knuckles and Crash Bandicoot! Will you get your hands on the new pets? 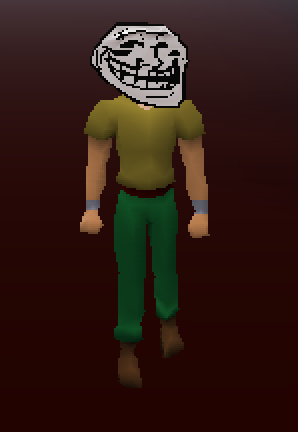 As promised, we have released the second batch of skilling pets! these pets are obtained randomly while skilling! 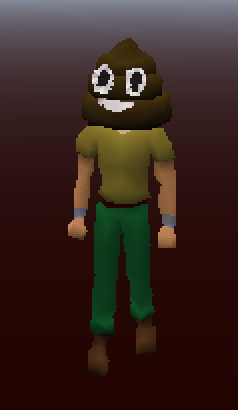 This is obtained randomly while mining! 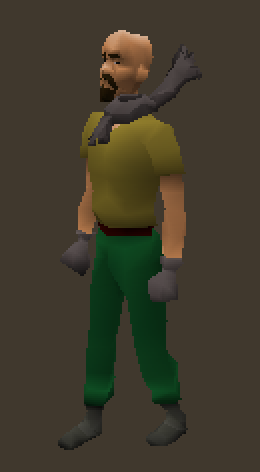 This pet gives you a chance of obtaining a mystery box while mining! This is obtained while fishing! This pet give you a chance of catching rainbow fish while fishing! Rainbow fish will heal you to full hp! 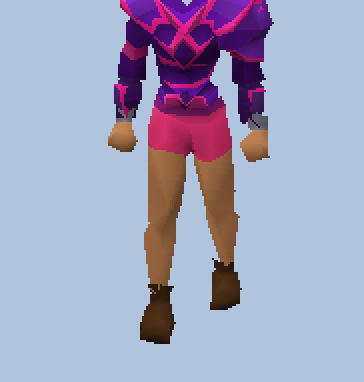 This pet can be obtained while fletching! 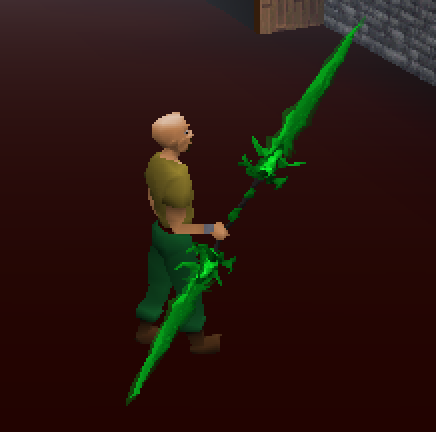 It gives you 1b per fletching action! 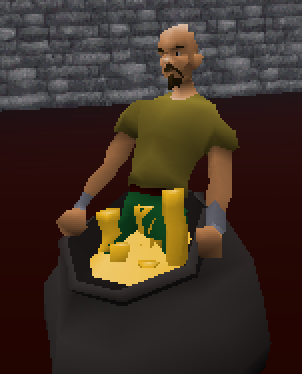 This pet is obtained while fire making! 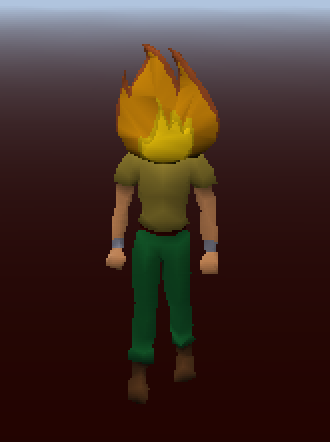 While using this pet you get 1-5b per fire you light. 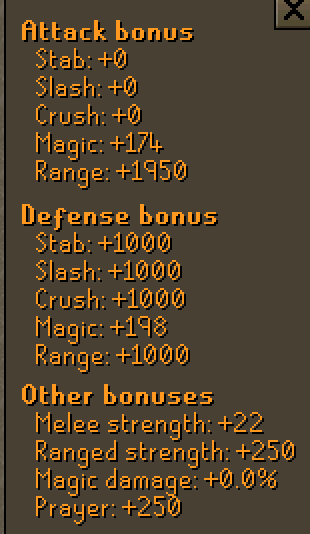 You can now buy your Dice 'cc' ranks at any time! 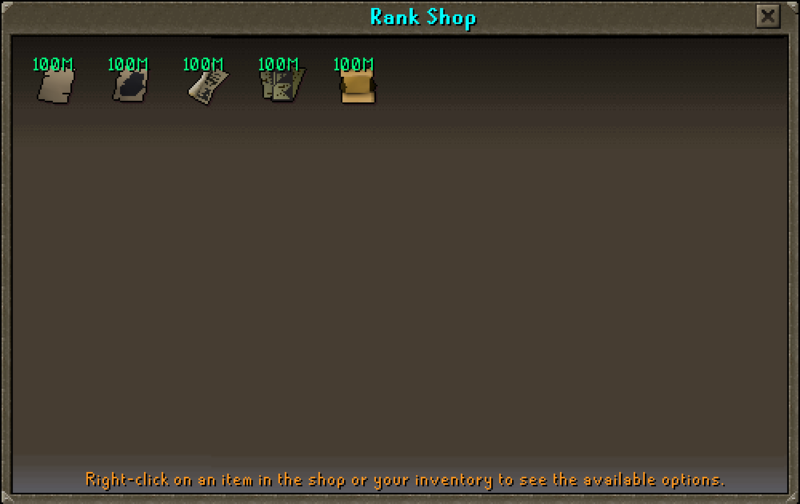 Simply trade the 'rank shop' and buy your ranks. Redeem them to automatically be given the equivalent rank in dice cc. 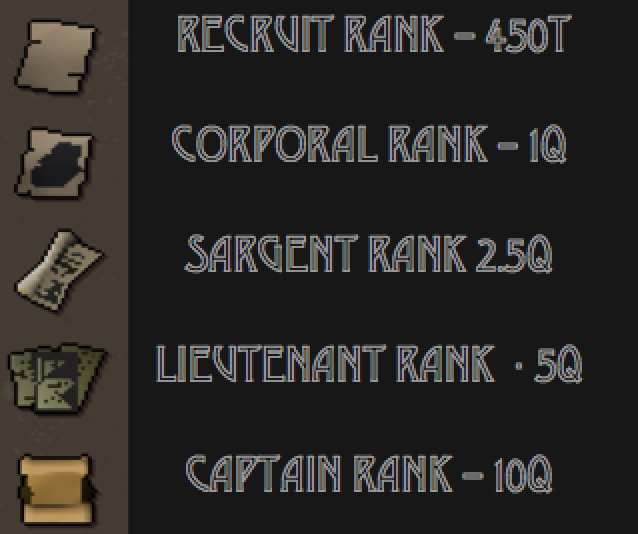 The rank you get corresponds to the amount you can hold. Introducing Dreamscape's worst kept secret... the Piñata. A community event to smash the piñata! 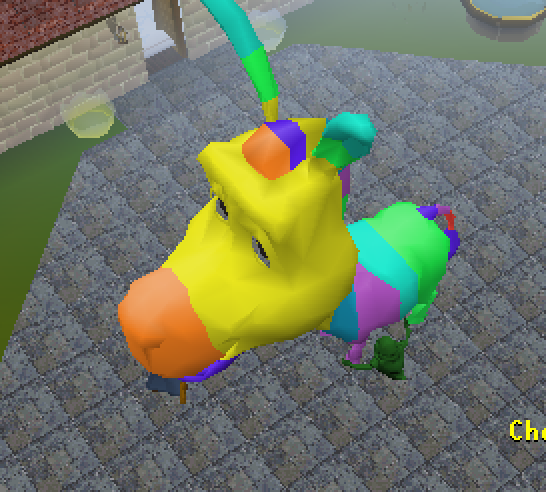 once the piñata dies the people who do the most damage get event boxes in their inventory. An additional 10 event boxes will be spread on the ground for players to pick up! Please note: you cannot use weapons, gear or pets while attacking the piñata! 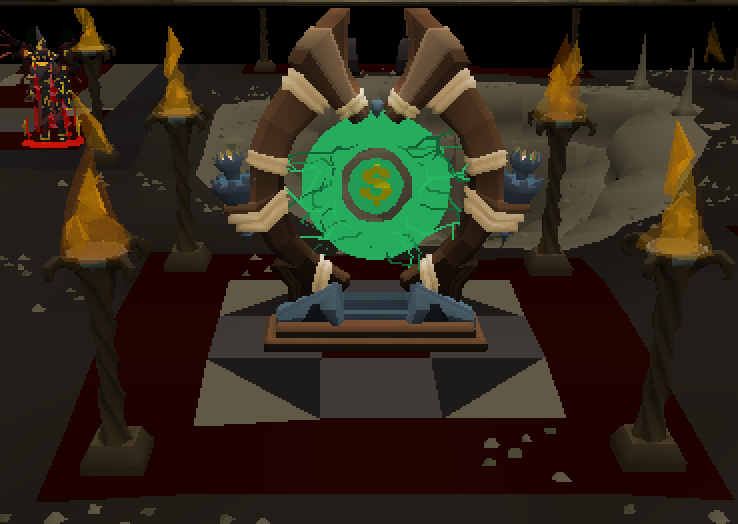 You can now upgrade the ring of wealth (i) into the ring of fortune! 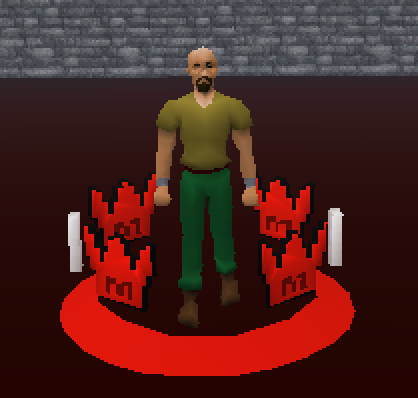 This new ring gives you an additional 10% double drop rate as well as your 10% drop rate bonus! 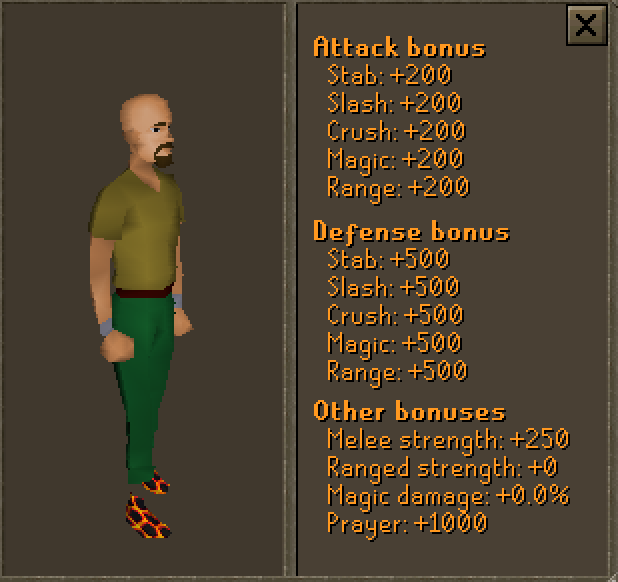 You can now combine the 3 new boots that Olaf drops to create some super op new hybrid boots... The Quantum Boots! Here at dreamscape we are on a mission to squash all bugs that you may find while you are playing! We have found however that sometimes bug reports can get lost or not forwarded to the correct people, so we have decided to change this and implement a new system where we can optimise our ability to quickly fix bugs, typos, errors and quality of life issues and ensure that all bugs are followed up on! and click on the 'bug' button. This will open a chat box interface message where you can type out your bug report. After you hit enter and submit your bug report, the bug report will be printed out in a staff discord channel run by our development team and will be investigated and if necessary patched as soon as possible! You can now gain automatic rewards for making youtube videos for dreamscape! You are rewarded 1 YouTuber point In-game for 1 view via YouTube. For example: 4400 Views means you receive 4400 YouTuber points! You can claim the points in-game using the command ::claimyoutube and use them at the youtube store at home! Rare drops will now be announced in the discord for all to see! We have integrated a new bot with help from Corrovox and are loading our discord with lots of in-game / discord integration. This is the beginning of some real juicy discord functionality... watch this space! Introducing a brand new raid style boss to the Executive Zone! Baphomet is a brand new boss accessible int he executive zone through the portal. 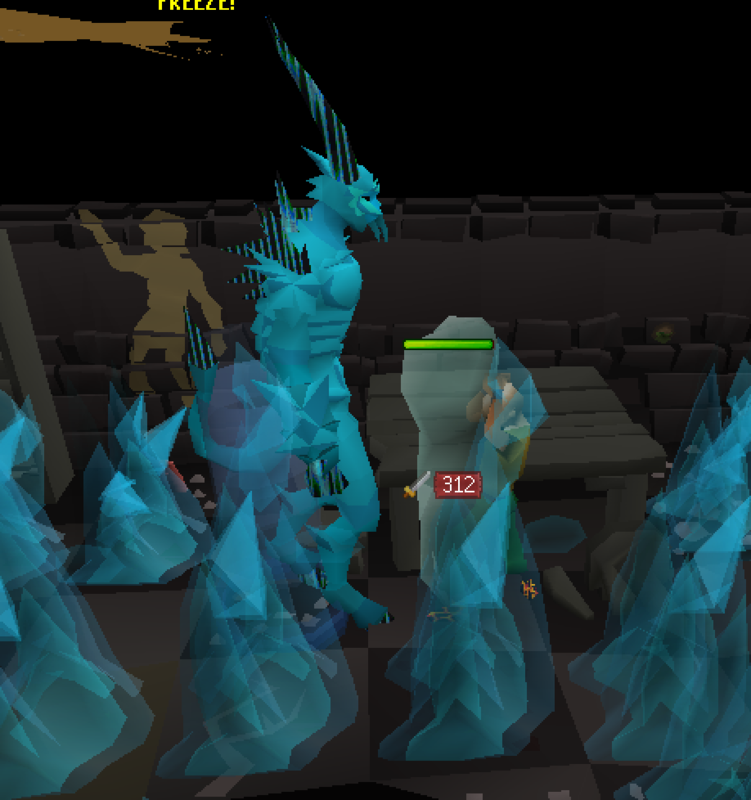 The boss is instanced and fought alone! You can only attack baphomet with the Baphomet Sceptre which you must make during the fight! 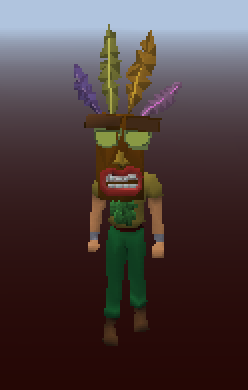 Run around and collect the 3 crystal fragments and combine them to make the sceptre! 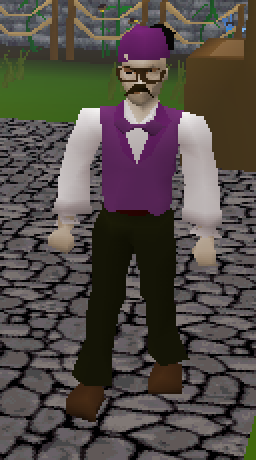 After one hit your sceptre will break and you will have to make a new one by collecting more crystals so make sure you are wearing your executive cape to maximise! While inside Baphomet's lair, you must avoid the blue flames which will hit you a constant poison damage if you stand on them! 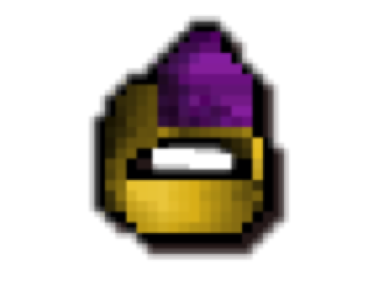 After killing baphomet you are rewarded with 50 executive points as well as a baphomet casket which can be opened for some crazy juicy loot. We have added auras to dreamscape! you can now get even more boosts and bonuses by using auras! 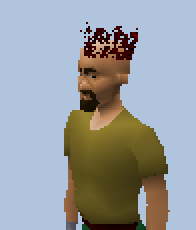 You will be able to see when a player has an aura active as it displays funky new particles coming out of their right hand! All of these auras are available from our donation store or from the box of wisdom! This box grants random auras and can be obtained from the donation store! All of our new auras are loaded into this box for you to win! Introducing Dreamscape's newest and biggest boost... Luck! 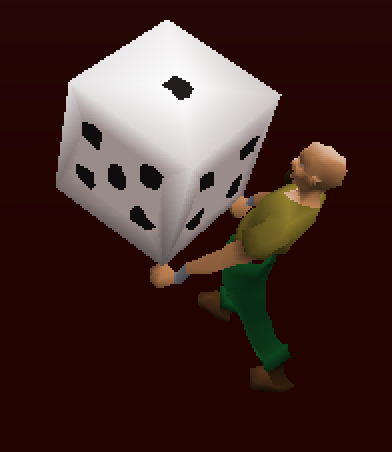 Luck is similar to drop rate and gives you a boosted chance at many non-drop luck/rng related activities! 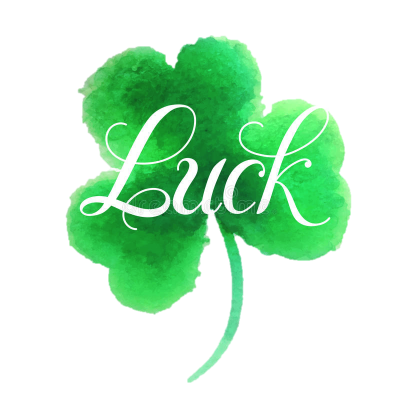 We will be adding more to the Luck system over the coming weeks and more items you can wear to boost your luck. Should you wish to get a head start and start improving your luck bonus, you can get luck from some aura's and the brand new Omega set! We have discontinued the Emperor's box in favour of the Omega Box! The omega box gives Omega Souls much like the emperor box and you get one free omega box for every 3 boxes you donate! Collect 500 Omega souls to make an Omega armour piece. Should you complete the full set and you can get your hands on a whopping 25% luck bonus! 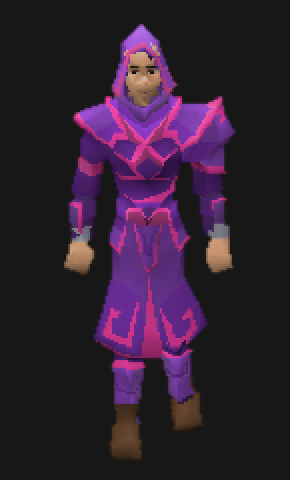 The omega set also has a unique colour switching effect. 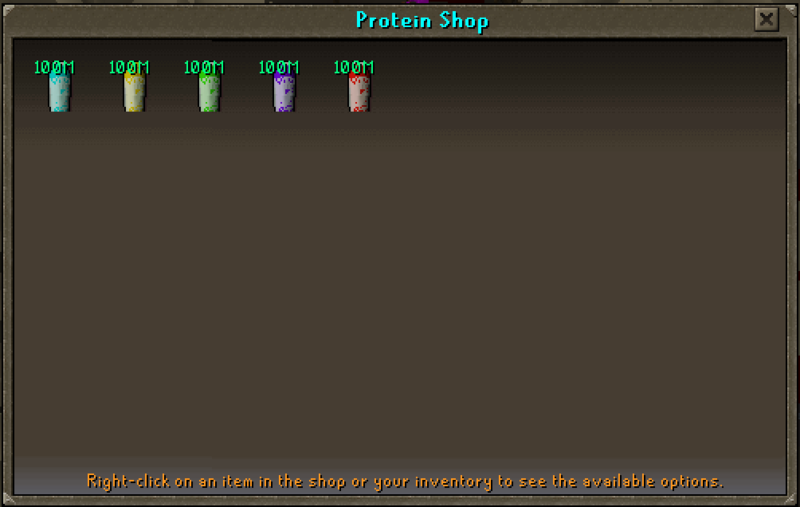 We have added some new potions known as protein shakes! 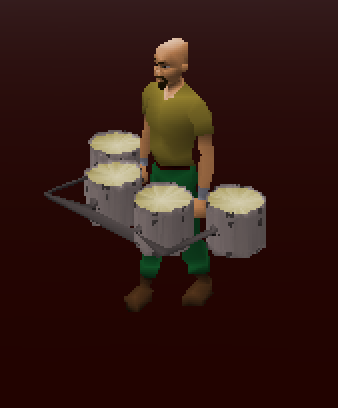 these will give you the most OP boosts to your combat skills possible and are perfect for getting some extra damage in at raids! 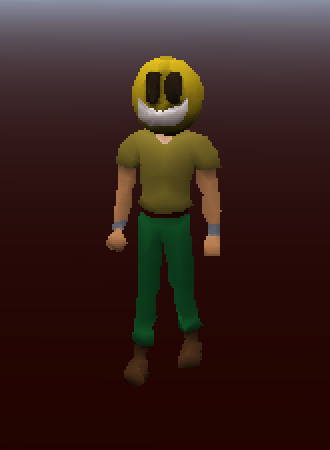 We had some reports that Ownercape zones 1, 2 and 3 were getting quite crowded with a lot of players sharing the same npc's... so we decided to revamp the zones and add in more of the most popular npc's! We listened to you and gave Longclaw a special attack! 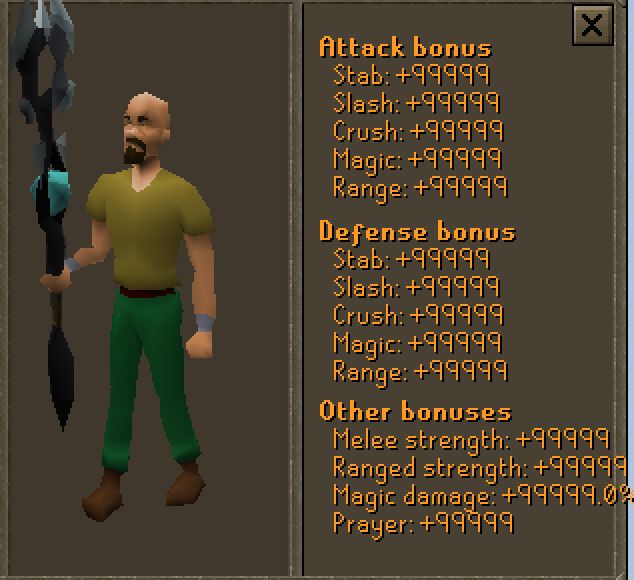 This insanely powerful special attack allows you to do crazy damage on your enemies... yes that is a 40k hit. We have also added a second executive zone! To access this zone simply right click your cape and choose which of the two zones you wish to visit. 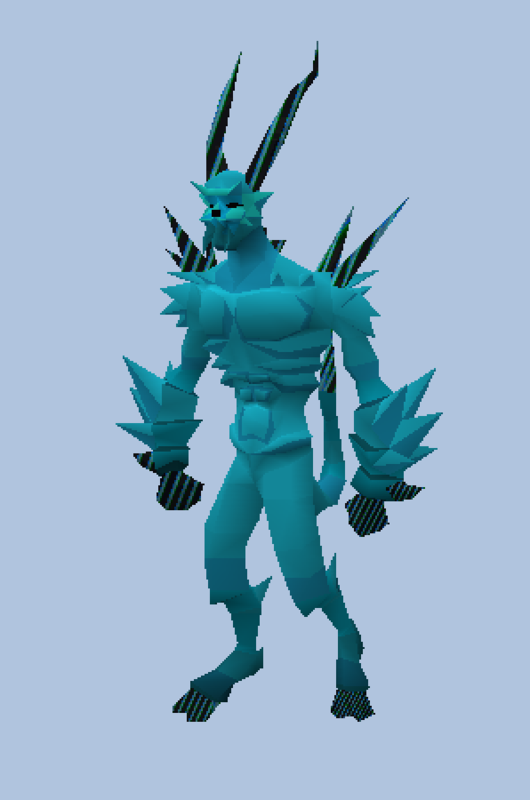 We have also removed the phoenixes from executive zone in favour of the Olaf boss! We have been experimenting with pets that can help you in combat and are releasing our first pet that will fight with you! Slimer from ghostbuster does a static 2.5k poison hit while you are in combat! Been thinking about donating? want to try before you buy? We have added a new feature and in game lending system that allows you to trial donator items before you buy them! Simply contact an admin+ in game for more info! 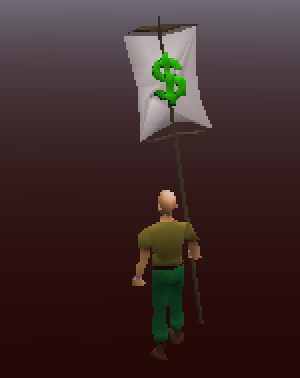 Owner cape owners can now upgrade their owner cape to an executive cape by using the 'executive totem' on their owner cape! The Executive Totem is available from the donation store! 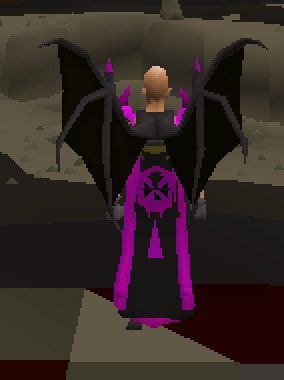 SICK UPDATE! ALways! GOOD JOB EVERYONE! Holy crap this update looks amazing! Glad to see you guys are tkaing the suggestions to heart and implementing them into the game. Thanks dev's for delivering another awesome update. Oh my god. Talk about hard work. Thank you so much guys. Much appreciated! Unbelievable - great work! ? insane update! we all appreciate how much work you guys put into this server, It doesn't go unnoticed! Is there a launcher for mac because after the update it will not let me log in it keeps telling me to update the launcher and i did but it keeps giving me the same message? Probably the most insane update I've ever seen. WHAT A UPDATE thats why dreamscape is #1 from developers keep up the good work!! Thanks for the developers & staff members. Wow so much new content again! Thanks! What an amazing update cannot wait to get playing! Another great update, thank you drax and developers! Awesome update guys! Thanks for this! Very juicy update! Awesome job guys!